ArtHere's a new edition of The Playlist for you to enjoy. Hope you find some new music. Spread it around if you find something you like. First up is Sumo Cyco from Canada. Been following these peeps for a while now and they have always been an energetic and creative bunch. Their new video for the song "Move mountains" features Benji Webbe from Skindred. I dig it. 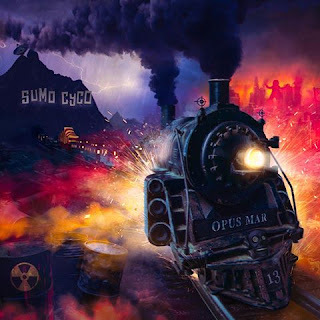 Give Sumo Cyco a follow over on Facebook and Twitter and be sure to stop by their official website and pick up some merch to support. Next up is the brand new video from Edge Of Paradise. EOP is a hard rock / heavy metal band from California. Be sure to give the song "Alive" a listen and catch up with the band to see all the shows coming to your area. You can find them on Facebook and Twitter and you can show your support by buying merch from their website.